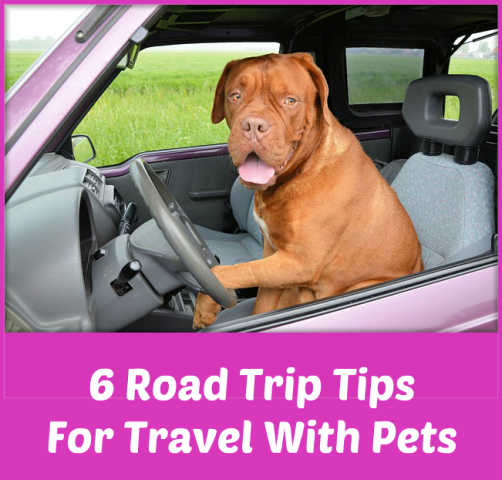 Need some great tips for road travel with your pets? It's the season of lake house visits, journeys to drop kids off at camp, and travelling to destinations unknown. Something about summer the summer season just brings out our desire for adventure. When you have pets that you consider part of the family ready to join you on your road trips, some planning and preparation is important for their safety and the comfort and convenience of all travellers - two and four-legged. 1. Prepare the vehicle for your trip. When travelling with children, there are countless things you put in the car for their entertainment, comfort and safety. This includes some necessities as well as some optional items. Travelling with a pet really is no different. Firstly, it's important to provide them with a safe, comfortable area that will restrict them from wandering around the car inhibiting the actions of the driver. Dogs can be restricted to open trunks, sit on the backseat with a seatbelt restraint, or crated in a product designed specifically for travel. Having the animal safe and secure is also for their safety in the case of an accident. With proper safety procedures, your animal will remain safely in the car without the ability to be ejected or to run away (as is common) if they're loose after a collision. You may want to take a look at 3 Gadgets To Keep Your Dog Safe and Car Clean. I also think a Car Window Gate is a great idea for dogs who like to hang out of the car. Make sure you also have sufficient water, food, medications for your pet, a bed or blanket, and toys or treats handy in the vehicle so the items can be accessed as needed. I also like to have some clean up items like paper towels, wet wipes and carpet cleaner handy. If you are driving in the summer, also think about getting a sun shade for the side windows if they won't be able to pull them down. The sun can get awful hot and I find these make a big difference in keeping everyone comfortable. For my dog, I like to always have a small backpack in my car ready with things that my dog may need. It includes some treats, this collapsible food and water bowl, poop bags, and a leash with this night lite charm attached in case we are wandering around after dark. I also have this insect repellent spray in the backpack as well. For recommendations on these items, check out our Top 10 Best Products For Your Cats. 2. Plan your route before you go. Many hotels, motels and campgrounds accept both dogs and cats these days. Some will require a deposit or have size restrictions for animals. When booking places to stay throughout your journey, ensure that you ask all necessary questions about having your pets in the accommodations so there are no unplanned delays or issues. Be sure to book ahead, as often certain areas or rooms are limited; meaning they don't all accept pets. So, if you show up and find that those options are full, you'll be out of luck and may struggle to find a pet-friendly alternative. BringFido.com is an awesome resource for finding pet friendly lodgings. 3. Plan activities your pet will enjoy. Presumably if you're travelling with a cat, you are planning to stay where it can remain comfortably in a home, ideally with frequent supervision. A dog has increased requirements when travelling with you. Don't neglect his/her needs when you've chosen to bring them along. Plan dog-friendly activities that will allow them to get some exercise and enjoyment out of the trip as well. 4. Maintain their regular schedule. Animals will feel more at ease on the road if their regular routines or maintained. That means feeding them, exercising them, and administering medications at the same time you would at home. Huge disruptions to their schedule can cause them stress or even to become ill. When you choose to travel with your pet, it's important to carve out time for their needs the same way you would at home. While small variations are bound to occur, do the best you can, and having their items easily accessible (especially while in the car) can make this easier. 5. Have your paperwork in order. Make sure that your pets have their vaccines up to date, and travel with a copy of their vet records. They should have a clean bill of health before travelling, which is for their safety as well. Also bring copies of registration, ownership, dog tags, and make sure they are wearing a current phone number you'll have access to while travelling. I like to have a small plastic folder handy in my car at all times with the latest info for my dog in my car next to my other car paperwork so it is always ready and available. Make sure to have a printed photo of your pet printed out in case it gets lost. 6. Consider a pet tracking system. The risk of your cat or dog going missing increases significantly when you are out of your normal routine and away from your home. Depending on the complexity of your trip, you may want to consider getting a pet locator for your dog or cat. They will definitely give you peace of mind and will definitely help you if your cat or dog goes missing while travelling. 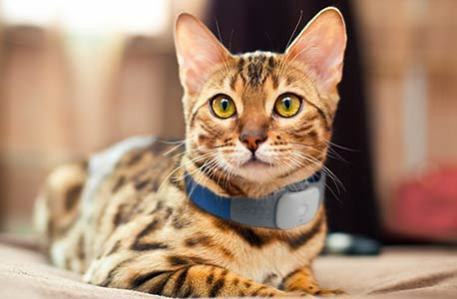 Our recommendations and reviews for the Best Pet Tracking Locators is here. Do you have any tips for travelling with pets that I may have missed? Goat and Monkey: A Love/Hate Relationship Animal Video of the Day!!! Brain Freeze! The Animal Video Of The Day!! !